Nicki Minaj says that she and Meek Mill are in it for the long haul. Over the past weeks some internet trolls have been criticizing their relationship and telling her to get back together with her ex-boyfriend Safaree Samuels. 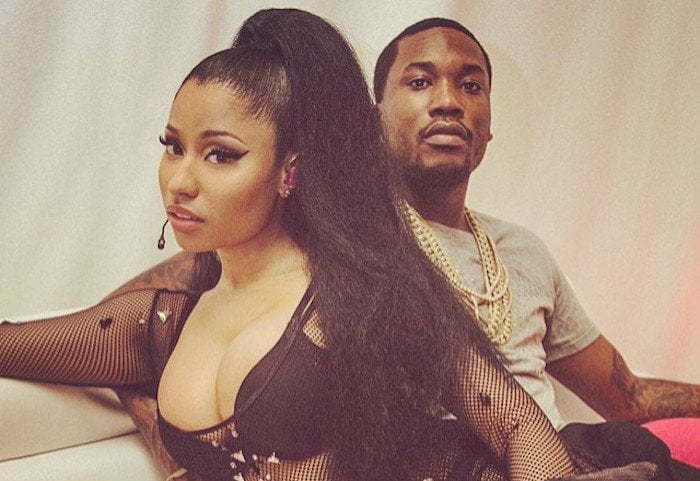 The “Only” rapper has now clapped back letting everyone know that she and he new boo Meek Mill are happy and in love. “How I look at ppl who hatin on me and bae. 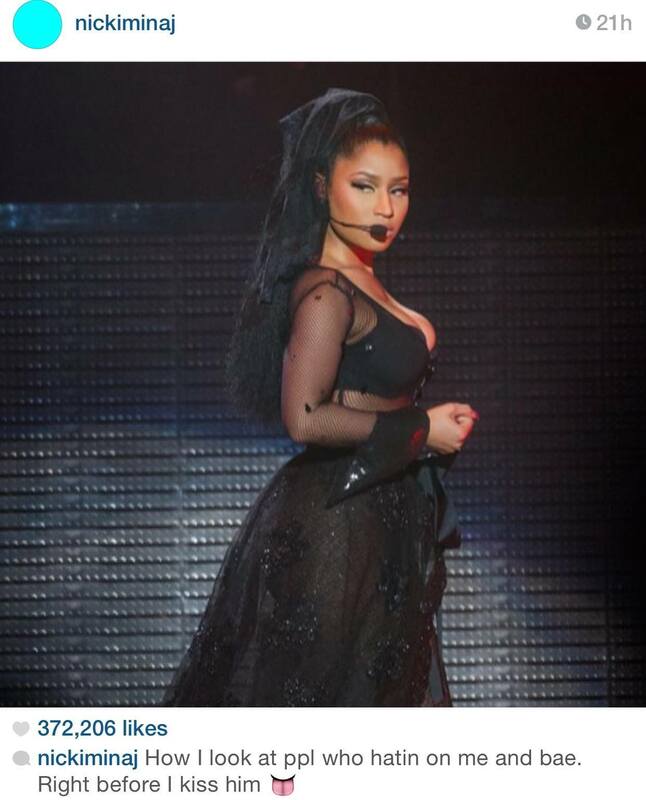 Right before I kiss him,” Nicki wrote in the caption on a photo she posted on Instagram. 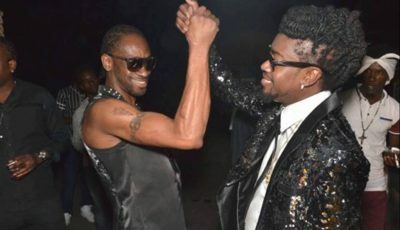 Sources close to the Trinidadian bombshell told UrbanIslandz that she is trying to move on and settle down with Meek Mill. “Nicki is happy and in a good place right now so folks should respect her decision to move on from her old relationship and start something new,” our source told us. That weave though ! damn it look nappier than meek mills haircut. 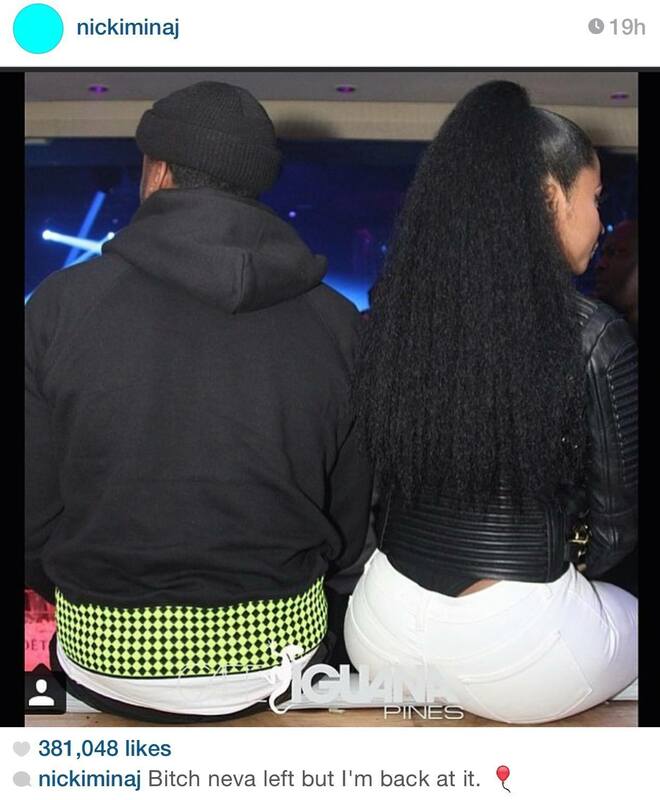 Nicki nobody cares how tight you two are.